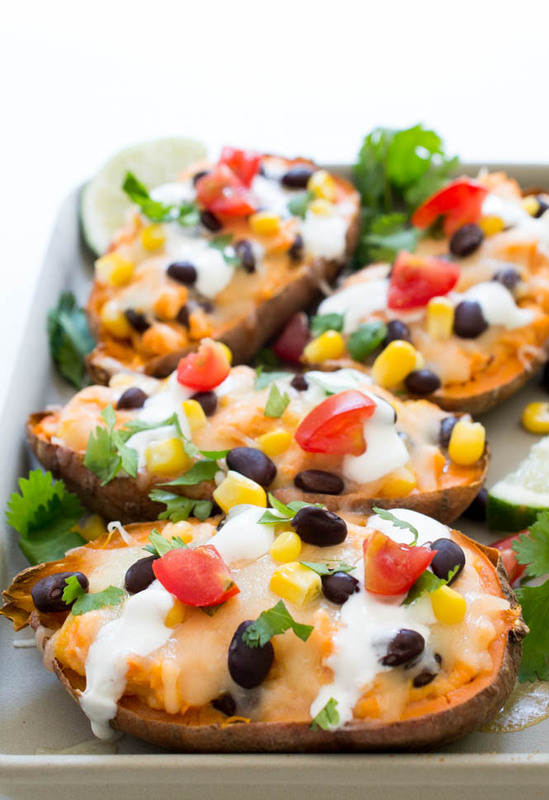 Loaded Mexican Sweet Potato Skins topped with Monterey jack cheese, black beans, corn and tomatoes. The perfect side dish to complement any meal! This is a sponsored conversation written by me on behalf of Sharp. The opinions and text are all mine. No one likes to turn on the oven in the summer, myself included. That’s why when Sharp approached me to test out their new Convection Microwave I jumped at the chance. It’s a combination of a convection oven and microwave oven in one. How cool is that? This means long roasts and sweet potatoes can stay on my menu all summer long. The Sharp R-830 Convection Microwave Oven cooks food super fast but still allows food to get crispy and browned on the outside. It’s the best of both worlds. I used the convection option on the microwave to roast my sweet potatoes to perfection. I stuffed the inside of the sweet potatoes with chiles in adobo sauce, sour cream, black beans and corn. It all gets topped off with some melted Monterey jack cheese, sour cream, tomatoes and cilantro. These sweet potatoes have the perfect amount of spiciness (from the chiles in adobo) and sweetness (thanks to the potato). They make the perfect side dish to any meal, like my Baked Parmesan Chicken Tenders or my Slow Roasted Beef Brisket. Scoop out the center of each sweet potato leaving enough room along the edges so the potato doesn't fall apart. 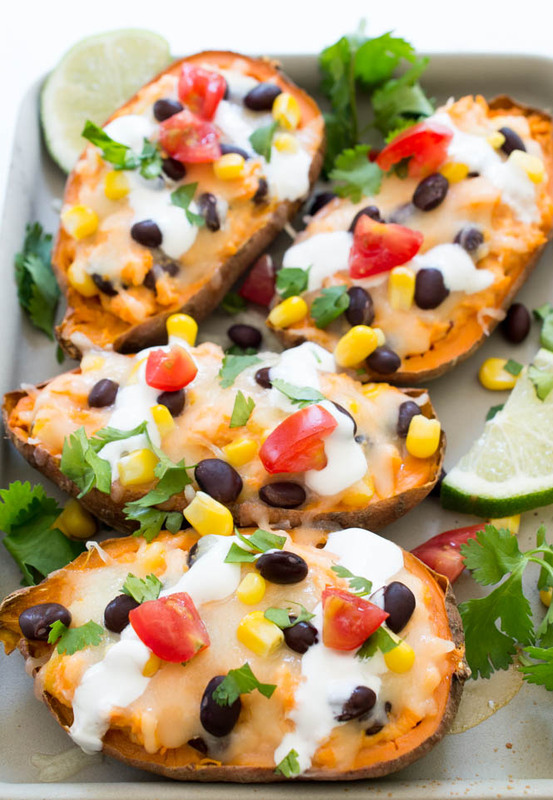 Totally diggin’ these gorgeous loaded sweet potato skins! 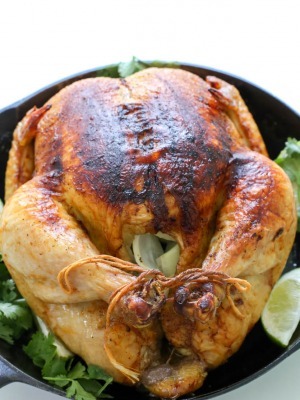 They’re beyond stunning and look like my dream mexican-night dinner! These look AMAZING!! I love mexican food and I am always looking for fun new ideas for dinner so I can’t wait to give these a try! What an awesome looking dish, Kelley! I am loving all the colors, all the flavors and your gorgeous click too! YUMMY! These look so yummy, Kelley! 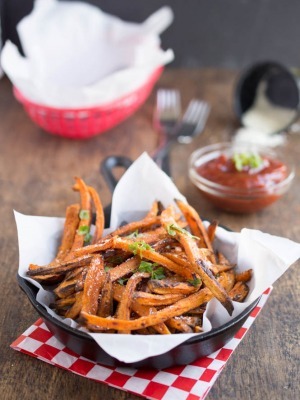 I love the combination of the sweet potato and the spicy adobe sauce – delish! 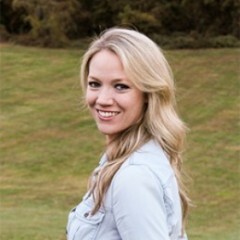 Can you come cook for me please, Kelley?! I want to eat EVERYTHING YOU POST! Pinned! Thanks Justine! You are so sweet! I love that you made sweet potato skins, Kelley! And the flavor sounds amazing. I can never pass up any kind of Mexican flare, so I’m loving these! These are loaded with all of my favorite things!! Those look absolutely fantastic! Love the Mexican stuffing in them, that sounds amazing. That’s also totally cool about the microwave/oven combo, I’ve never heard of that – but the thought of getting something crispy instead of soggy out of the microwave sounds pretty awesome! I love everything about these skins and using sweet potatoes was such an awesome idea! Definitely the prettiest potato skins I’ve ever seen! I got so excited when I saw the title of this recipe and then I saw the photos and they look even better than they sound!! These are basically all of my favorite things mixed together! I need these now! These look incredible, Kelley! 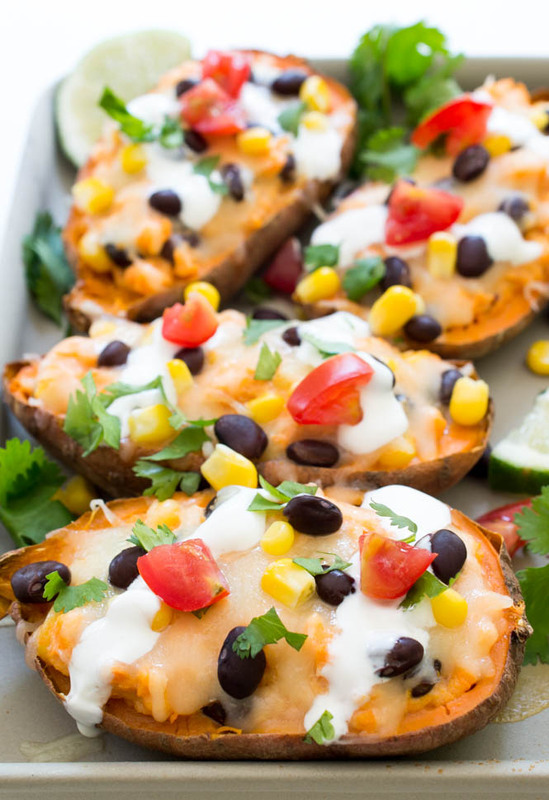 I love sweet potato skins and the mexican flavors sound perfect! Pinning! These look amazing! 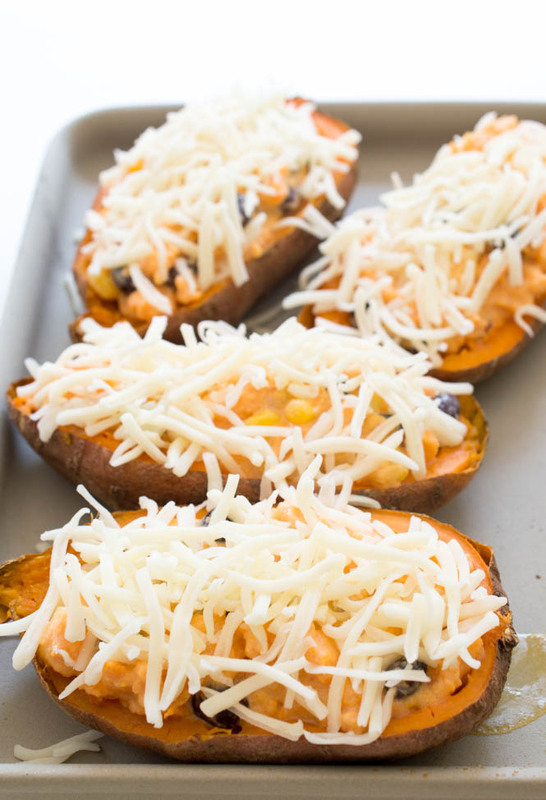 I was already thinking about stuffed sweet potatoes for dinner and now I’m craving these! !